I began playing clubs in Toronto and recorded my first record at Bert Hunt’s studio on the Audio Master label. The studio was at 636 Church Street and is now an Indian Restaurant. 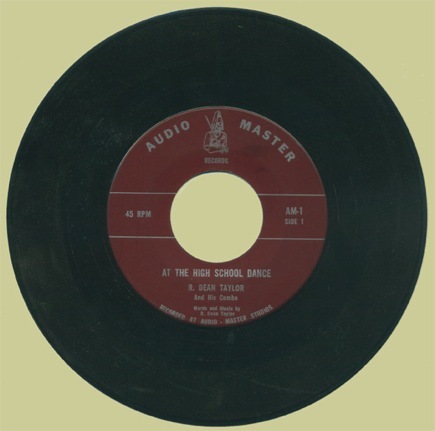 “At The High School Dance” was later released on Barry records. Musicians on this recording included Jack Posluns on drums, who later played with Marvin Gaye on the road, and Pete Traynor on bass, who later founded Traynor Amps.